BEVERLEY MARTYN-WHAT MIGHT HAVE BEEN? It was fifty-one years ago, when Beverley Martyn made her recording debut. Back then, she was a member of The Levee Breakers, a jug band that featured Mac McGann, Johnny Joyce and Beverley Martyn. They released their debut single Babe, I’m Leaving You on Parlophone in 1965. Beverley was just sixteen and already, The Levee Breakers were a regular fixture on the folk circuit. It looked like Beverley Martyn was destined for a great things. However, since 1965, Beverley has only released two solo albums. 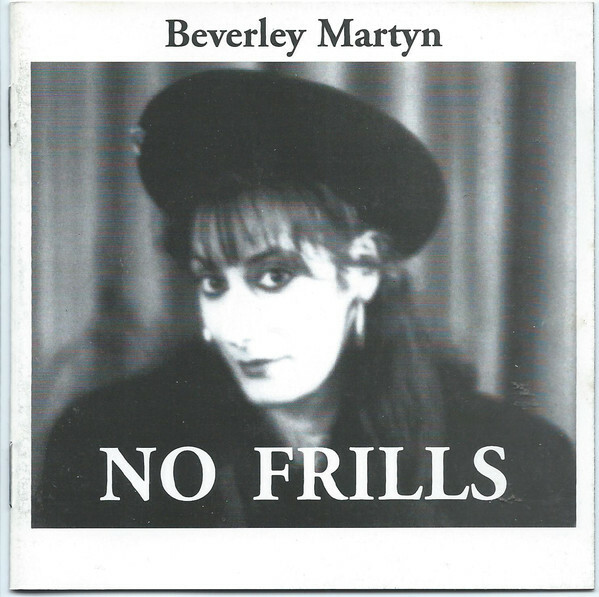 Beverley Martyn somewhat belatedly released her debut album No Frills in 1998. It was sixteen years later, before Beverley Martyn returned with The Phoenix and The Turtle in 2014. Since then, folk’s reluctant star hasn’t returned with the followup to The Phoenix and The Turtle. However, back in the mid-sixties, it looked as if Beverley Martyn was destined for commercial success and critical acclaim. Accompanying Beverley were future members of Led Zeppelin John Paul Jones and Jimmy Page. Then there was Nicky Hopkins who had collaborate with The Beatles and Rolling Stones. Drummer Andy White was best known as having played the drums on The Beatles’ Love Me Do. He went on to forge a career as one of the top session musicians. Each of these musicians featured on Beverley Martyn’s debut single. 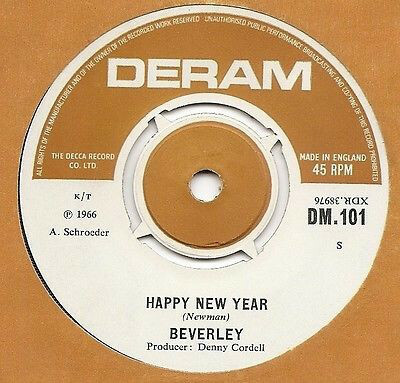 Released as Beverley, Happy New Year wasn’t the commercial success many people envisaged. Worst was to come. Picking Up The Sunshine, Beverley’s sophomore album was recorded, but not released. However, Beverley’s luck was changing. It was during this period, Beverley met Bert Jansch. He taught Beverley how to play guitar and encouraged Beverley to write her own songs. Meanwhile, Beverley was relying on other people to write songs for her. Donavon wrote her third single Museum. Denny Cordell who would produce Joe Cocker, The Move, Procul Harum and The Moody Blues was drafted in to produce Museum. Sadly, Museum wasn’t a commercial success. So, Beverley moved to New York with another stalwart of the folk scene Paul Simon. Paul Simon was a regular on the British folk scene. He’d arrived a few years earlier. Back then, he was an up-and-coming folk singer. Now with Art Garfunkel, he was about to record Bookends. This was Simon and Garfunkel’s fourth album. Recorded in New York, Beverley wrote Fakin’ It. She also sings a line in the song. Things were looking up for Beverley. Especially when she appeared at the 1967 Monterey International Pop Music Festival. However, two years later, Beverley would meet the man she recorded two critically acclaimed albums with, John Martyn. John Martyn and Beverley Martyn. He who was already an established name of the British folk circuit. H had already released two solo albums, 1967s London Conversation and 1968s The Tumbler. Beverley and John would release two albums in 1970. Stormbringer was released in February 1970, with Beverley penning four tracks and John six. Recording of Stormbringer took place in Woodstock, with Joe Boyd producing Stormbringer. Upon its release, Stormbringer wasn’t the success Island Records had hoped for, but nowadays is regarded as a British folk classic. Despite the failure of Stormbringer, John and Beverley entered the studio again. This time it was in London. That’s where The Road To Ruin, the followup to Stormbringer, was recorded. It was released in November 1970, and it features one of Beverley’s finest songs, Primrose Hill. It’s a song about what Beverely calls the “joys of domesticity.” Apart from Primrose Hill, Beverley cowrote three songs with John for The Road To Ruin They had just written and recorded another British folk classic. Sadly, on the release of The Road To Ruin, the album failed commercially. This proved to be the end of John and Beverley’s collaboration. Island Records decided that with John and Beverley’s two albums failing commercially, it would be best to market John as a solo artist. Right through until John Martyn was recording Grace and Danger in 1980, Beverley divided her time between spending time with her family and working on John’s solo albums.That came to an end in 1980. John and Beverley Martyn were divorced whilst John was recording Grace and Danger. It proved to be a highly personal album, which featured a cathartic outpouring of emotion from John. After their divorce in 1980, Beverley took a break from music, concentrating on her family. By the nineties, Beverley’s family had grownup, and she decided the time was right to make a comeback. This began with Beverley supporting Loudon Wainwright III. Then in 1998, Beverley released her long awaited debut album No Frills. It was released to widespread critical acclaim. Beverly Martyn was back. Over the next few years, Beverley worked with some of the biggest names in music. This includes Jimmy Page of Led Zeppelin, Levon Helm of The Band, Richard Thompson, Dave Pegg and Sandy Denny of Fairport Convention and British folk guitarist Davy Graham. Then in 2004, a new generation were introduced to Beverley Martin’s music. 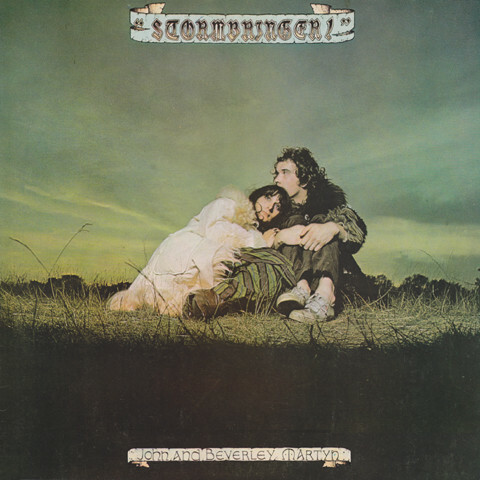 Fatboy Slim sampled Primrose Hill from John and Beverley Martin’s 1970 album Stormbringer. It featured on North West Three, a track from his Palookaville album. This introduced Beverley to another generation of music. For many musicians, they’d have rushed out a new album. Not Beverley. That isn’t her style. It wasn’t until 2014 that Beverley releasedThe Phoenix and the Turtle. At the time of its release, Beverley described The Phoenix and the Turtle “as a very personal album.” It featured songs that she had written throughout her fifty year career. This includes the first song she wrote, Sweet Joy. Reckless Jane was a song Beverley and Nick Drakes started to write. Sadly, they never finished it. Belatedly, Beverley finished the song. When The Levee Breaks and Going To Germany were songs Beverley used to sing with her first group The Levee Breakers. Women And Malt Whiskey was a song based on Beverley’s late husband John Martyn. Along with Potter’s Blues, Nighttime, Mountain Top and Jesse James, these nine tracks became The Phoenix and The Turtle, Beverley Martyn’s sophomore album, which was recorded in Wales and California. When The Phoenix and The Turtle was released in 2014, it was to the same critical acclaim that accompanied No Frills in 1998. The nine songs were variously beautiful, poignant and wistful. Heartbreak and hurt sits side-by-side pathos and melancholia. Beverley’s lyrics have a cinematic quality and each of the songs to life. As a result, The Phoenix and The Turtle is like a series of musical journeys, where Beverley takes on the role of narrator on a captivating album that was the finest album of Beverley Martyn’s solo career. 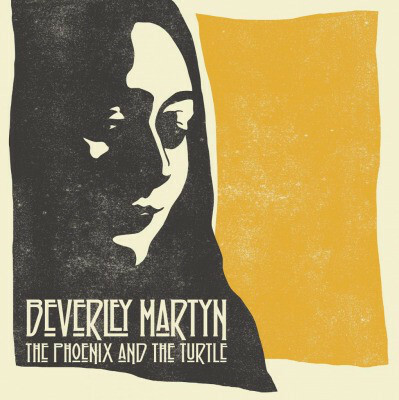 Nearly two years have since Beverley Martyn released The Phoenix and The Turtle. Theres no sign of her returning with her third solo album. That is a great pity, as Beverley Martyn is a hugely talented singer-songwrter. Just like a fine wine, Beverley Martin has improved with age. She’s now sixty-nine, and it’s fifty years since Beverley Martyn made her recording debut. That was the start of her career that promised much. Sadly, Beverley Martyn’s discography amounts to just four albums. However, it’s a case of quality rather than quantity. 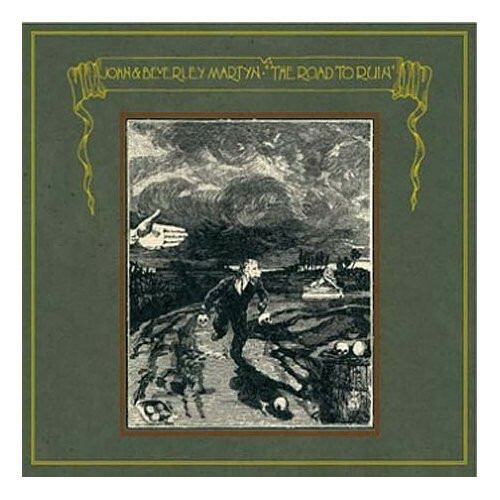 Nowadays, the two albums Beverley and John Martyn released, Stormbringer and The Road To Ruin are both regarded as British folk classics. Nearly a generation later, Beverley Martyn released two solo albums No Frills and The Phoenix and the Turtle. They were a reminder of a truly talented singer-songwriter who had the potential to one of the finest British folk singers of her generation. Sadly, that never came to pass, and nowadays, the Beverly Martyn is one of unfullfied potential and what might have been. ← SYLVIE-EN ANGLAIS…ET EN AMERICAIN.